Don’t miss our interview with Kimleigh Smith featured in Jason Bateman’s Bad Words. Don’t miss our interview with Kimleigh Smith, featured in Jason Bateman’s Bad Words! I had the incredible pleasure of speaking with Kimleigh Smith, who’s talents are featured in Jason Bateman’s directorial debut, Bad Words. Kimleigh’s story is more than just that of an actress; it’s a story of determination and positivity as she encourages everyone to “embrace your cape”. You can find out lots more about Kimleigh over at her website, www.embraceyourcape.com. You can also follow Kimleigh on Twitter! Bad Words stars Jason Bateman, and is also his directorial debut. Bad Words opens today; go check it out! 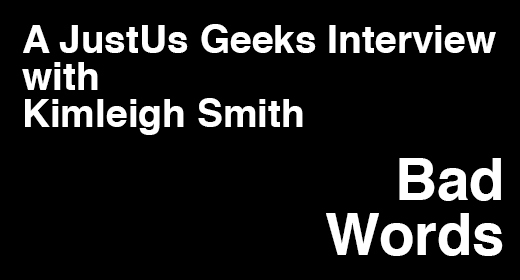 Don’t forget: have a listen to the latest episode of The JustUs Geeks Podcast! Jaimee Sockwell Hannah liked this on Facebook.